It’s beginning to smell a lot like Christmas, right? It’s only when you catch a big whiff of your mom’s homemade toffee or your favorite coffee drink that you really know that the holiday season has arrived. But have you ever wondered what it is about scents that can so quickly and effectively elicit such strong reactions? It’s likely thanks to the close proximity of your olfactory bulb (which processes smells in your brain) to the amygdala and hippocampus, which process memory and emotion. The effect is technically called odor-evoked autobiographical memory, but you know it as the moment you smell tater tots, and are instantly rocketed back to your elementary school cafeteria. If holiday smells are your thing, then we’re guessing that you’ll be really excited about the new aromatherapy we’re offering to enhance your massage experience. Think brisk snowy days, ice skating and skiing, and refreshing candy canes. That’s right – you can now opt to bask in the invigoration of our peppermint aromatherapy during your massage. Why did we choose peppermint? Well, if we’re talking about strong emotional responses associated with smells, then peppermint, with its tendency to bring about clarity of mind and invigoration, may be just what you’ve been looking for in your massage. In addition to helping you to feel refreshed, peppermint has many other impressive qualities as well. In fact, peppermint is one of the most versatile oils there are, and can help with a wide range of body issues. Peppermint is a natural muscle relaxant and pain reliever. It can be especially helpful for a sore back, neck, or a pulled muscle. Inhaling peppermint can help unclog nasal passages quickly and naturally, and can act as an expectorant, which can be a welcome relief during this season of sniffles and coughs. 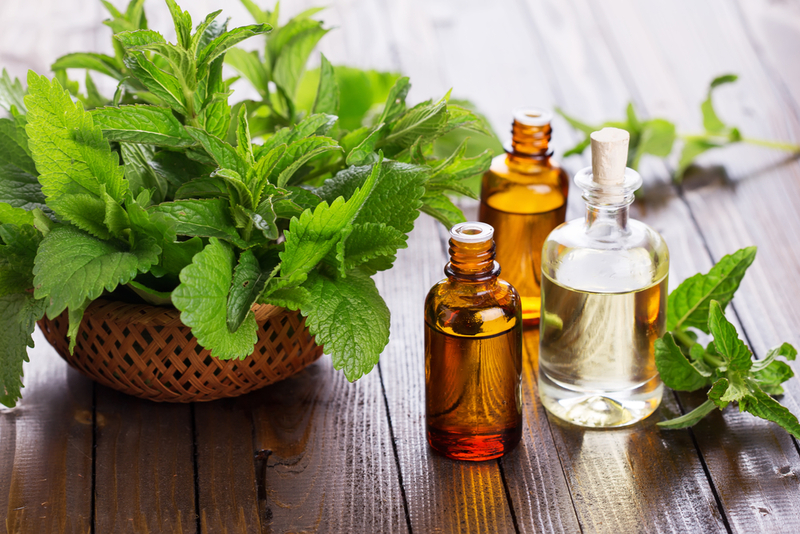 Peppermint essential oil can help relieve the occasional pesky achy joints, thanks to the menthol it contains. Peppermint is actually a refrigerant, which means that it brings the effects of a cold compress without the need for one. This can be very helpful for body inflammation and hot flashes. Feeling sluggish? A few whiffs of peppermint can help to improve your energy and activate your mind. You may try peppermint for a boost as a healthy alternative to drinking soda or energy drinks! Since peppermint can help improve circulation and relax muscles, it’s a great all-natural solution to help relieve headaches. The properties of this essential oil, paired with the benefits of massage can bring about a thoroughly healing, relaxing, and invigorating massage experience, and we can’t wait for you to try it.